My buddy, Shaari, was staying with me for a couple of weeks in between overseas assignments. (He teaches English in various countries around the world.) His next job is in Afghanistan, so he needed a heavy winter coat. Apparently believing his answer was sufficient, he turned and walked away. We left the store. We walked out, trying to shake the feeling of déjà vu. Our next stop was Colorado Ski & Golf. 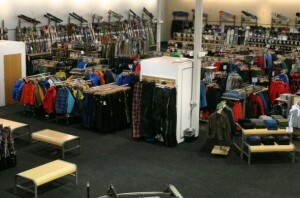 Unlike the previous two stores, this place had the heavy coats we were looking for. Also unlike the previous two stores, this place had a salesperson—David—who knew his merchandise. He talked to us about the pros and cons of different brands and helped Shaari choose the perfect coat. Encouraged, we waited. After about five minutes, David returned, a coat in his hand and a smile on his face. The coat fit like a…..um…..glove. Relieved and appreciative, we went to the register to pay. Whether you’re a salesperson, professional or business owner, people come to you because they have a problem they need solved. Just because the answer to a prospect’s problem isn’t right there in front of you, doesn’t mean the problem goes away. Are you—and your people—willing to do what it takes to help prospects solve their problems? 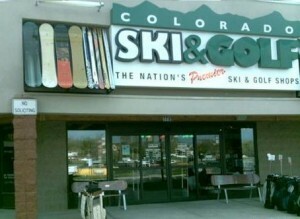 I had never been to Colorado Ski & Golf before, because it’s so much further from me than other stores. But the next time I need sporting goods or apparel, I’m going there first. Because their people understand that sometimes “everything” isn’t enough. But when you do a little more, the result is a happy customer. 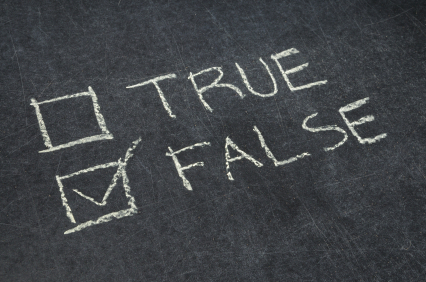 There are dozens of myths about social media, from the idea that only big businesses can do it well, to “if you build it, they will come.” The danger of these myths is that, if you buy into them, they’ll sabotage your social media efforts and hurt your sales. Listen as Michele Price interviews me and Andrea Waltz—author of the book Go for No— on Breakthrough Business Strategies Radio. In this 75-minute interview, the three of us explore these diverse myths and separate fact from fiction, truth from fairy tale. To learn more about Andrea Waltz, click here to follow her on Twitter and visit her web site at www.GoForNo.com. To learn more about Michele Price, click here to follow her on Twitter and visit her web site at www.WhoIsMichelePrice.com. Virtually every personal development “guru” and business “expert” extols the value of persistence and perseverance. Quitting is considered the ultimate sin. Quitting is valuable. Important. Even crucial to your success, both in sales and in life. If your sales, your career, your project, your relationship isn’t where you’d like it to be, your best course of action may be to quit. Throw in the towel. Jump ship. In 1993, after winning three NBA championships, Michael Jordan—one of the greatest basketball players ever—quit basketball altogether. Why? He had lost his passion for the game and needed a new challenge. He found that challenge in baseball, but discovered he wasn’t good enough to play at the major-league level. What did he do? He quit! 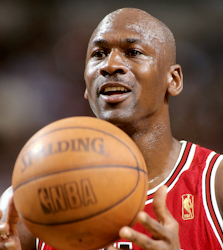 Jordan returned to basketball and led the Chicago Bulls to three more championships. Quitting the first time enabled Jordan to rediscover his love of basketball. Quitting the second time enabled him to channel his passion and skills where they could have the greatest impact. 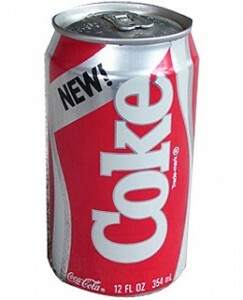 When Steve Jobs returned to a struggling Apple Computer in 1997, he slashed Apple’s 15 product lines to just four. In other words, he quit on 11 product lines. That allowed Apple to focus their resources on the few products that had the best chance of succeeding. 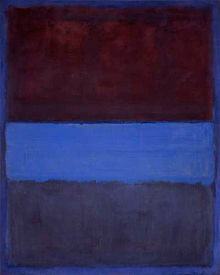 The artist Mark Rothko quit on his childhood ambition of becoming an engineer, moved to New York and became one of the most famous painters in the Abstract Expressionism movement. Financial guru Suze Orman quit her job as Vice-President of Investments at Prudential Bache Securities to start her own company, which led to her writing nine best-selling books and becoming a TV personality. Bill Gates quit Harvard to form a little company called Microsoft. Shall I quit with the examples? Fine. I’m just saying that if things aren’t working, quitting may be the best thing you can do. Quitting on a lousy company can lead you to a better job with a different company. Quitting on a failing product can free up resources for a newer, better product. Quitting on a terrible employee can create an opportunity for someone who will perform more effectively. In short, quitting enables you to move on. To new ideas, people and opportunities. So here’s an important question: What—or who—do you need to quit?